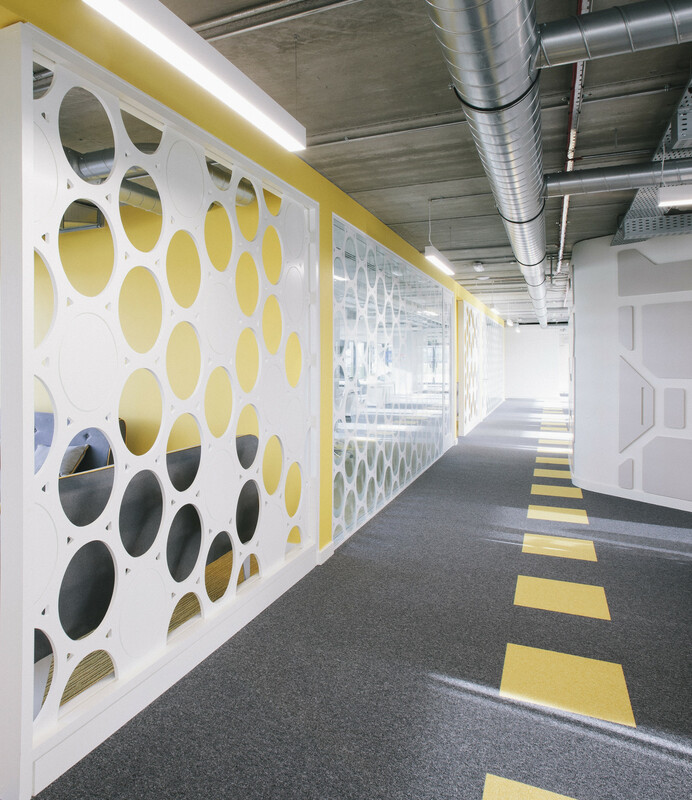 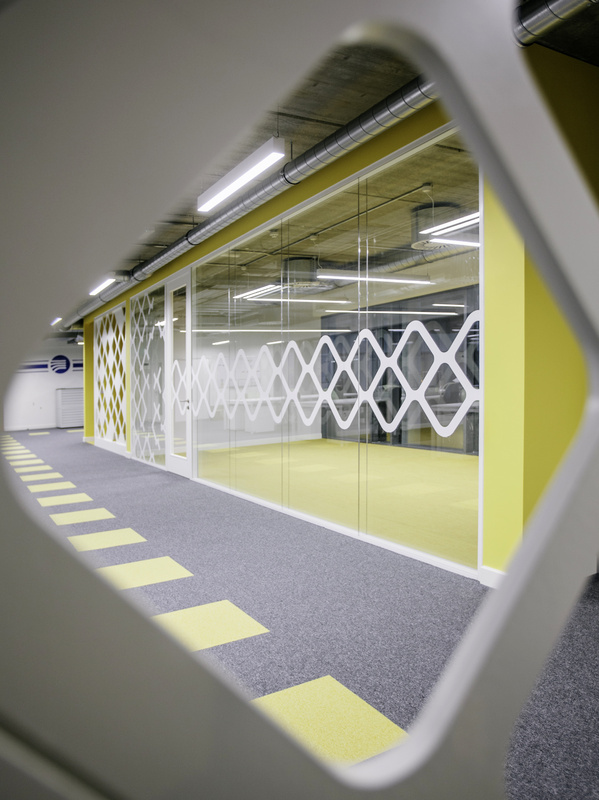 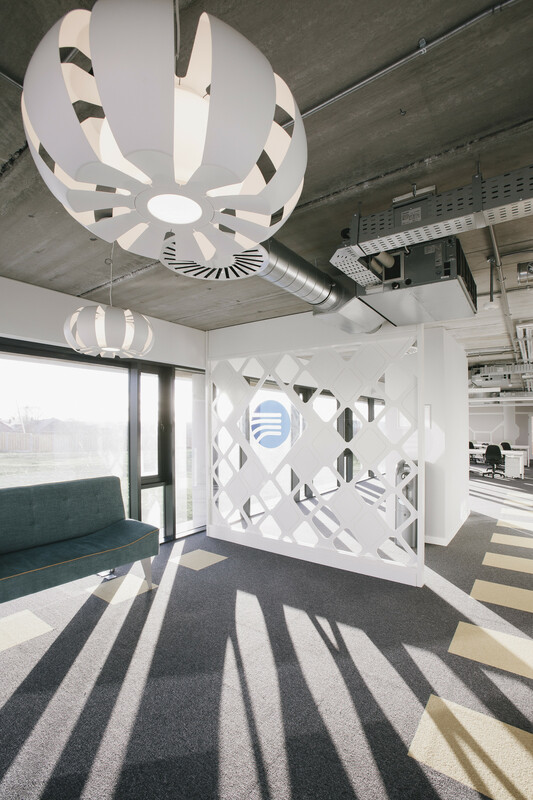 Irish world leaders in their field of medical devices were setting up their R+D department in a dedicated building – the interiors are designed to spark innovation and facilitate various forms of co-working and collaboration. 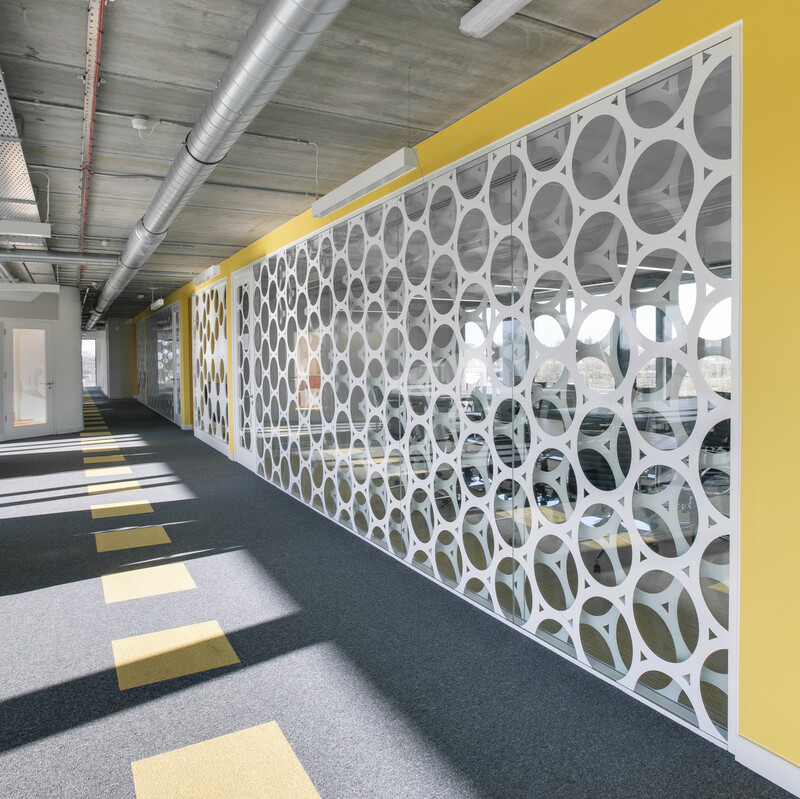 The pattern of screens that create privacy and layers throughout the building are inspired by cross sections of VistaMed’s micro-medical products. 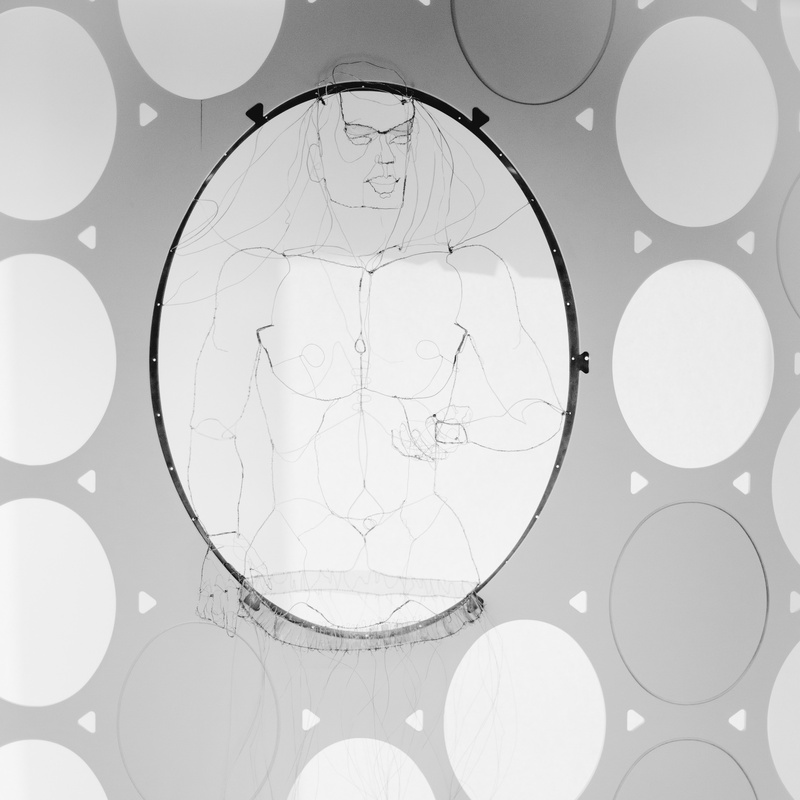 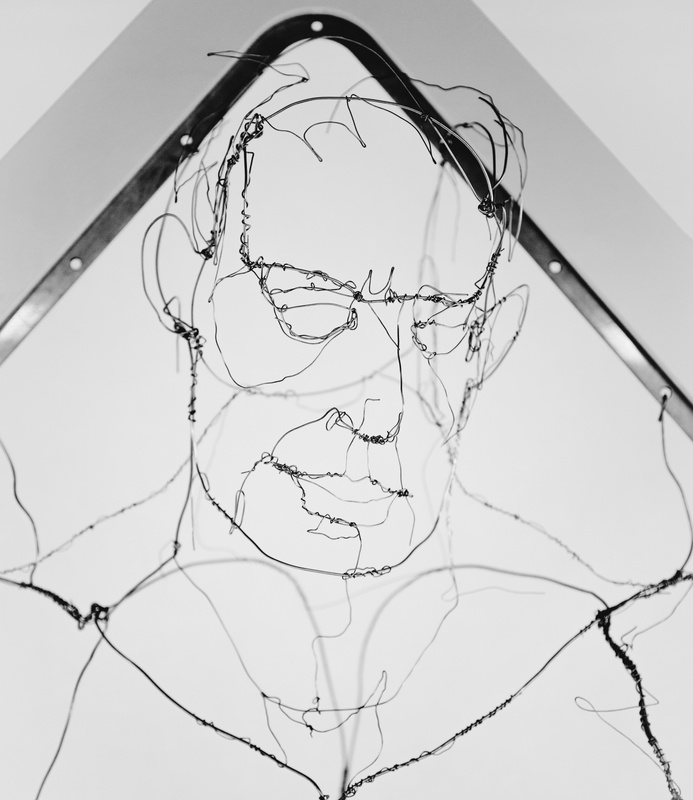 The fit-out incorporates bespoke wire sculptures by artist Michael Brett. 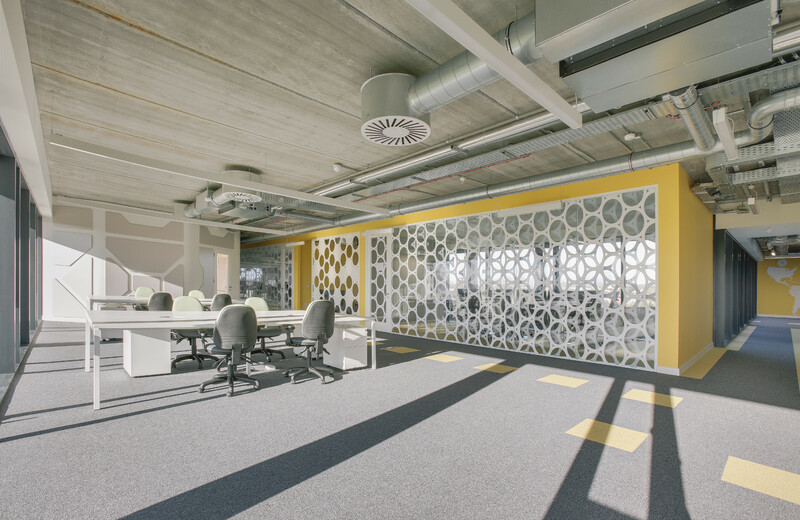 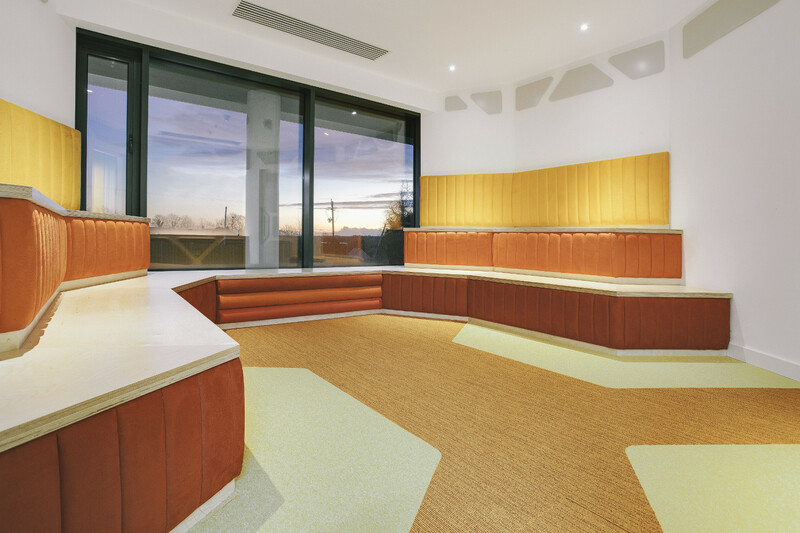 "... [Andreas' design] simply turned a square, bland, concrete shell and core building into something really bright, colourful, creative and a very pleasant space to work in."